The Asus C302 Chromebook Flip has been a favourite for many Chromebook users for some years now. So the news that Asus is launching a new Chromebook to replace the C302 has caused a lot of excitement. 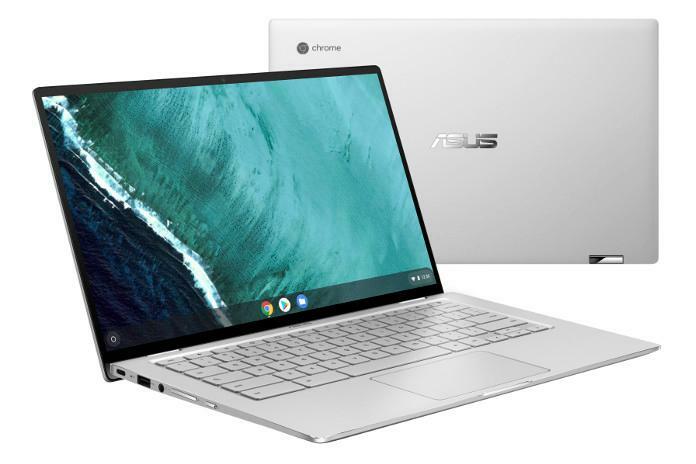 Can the Asus C434 Chromebook flip really replace the Chromebook we have all come to love? The Asus C302 is arguably the best Chromebook you can buy if you take the Google Pixelbook out of the equation. What makes the Asus C302 Chromebook so successful is its stunning looks, great performance, 360-degree hinge, and amazing keyboard. So the Asus C434 flip has a big challenge on its hands. Let’s take a closer look at the new Chromebook from Asus to see if it will become the next must-have laptop. One of the first things you notice about the Asus C434 compared to the C302 is the display. Instead of the 12.5-inch, you get a 14-inch, and that 14-inch display still manages to fit inside a 13-inch chassis. This is thanks to the Asus C434 boasting Asus NanoEdge technology, which means you don’t get great big borders around the side of the display. This not only means you can fit in a larger display, but it’s also much more pleasing on the eye. Having a laptop with a big border around the display can make it look cheap, so it’s really nice to see Asus have fixed this. The display also offers Full HD with a 1920 x 1080 display resolution, which is the same as the C302. 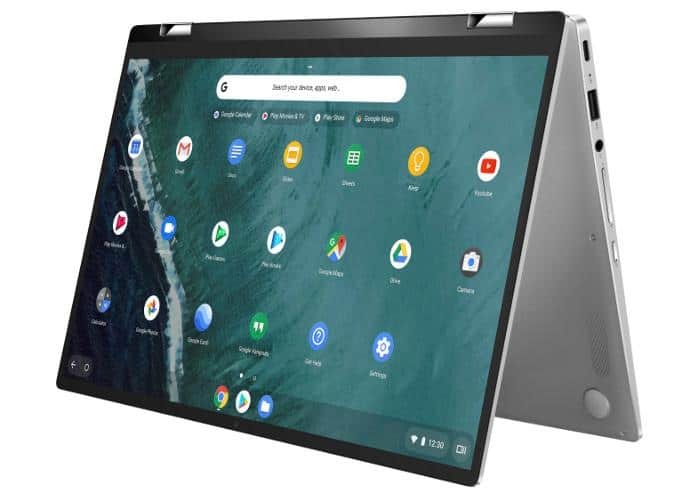 The difference being it will look a whole lot better on a 14-inch display and the IPS technology also means viewing the display at an angle will be a pleasure. This is really exciting to see. The Asus C434 will be launched in different configurations, so you will be able to choose the Chromebook with the right processing power for the tasks you perform. 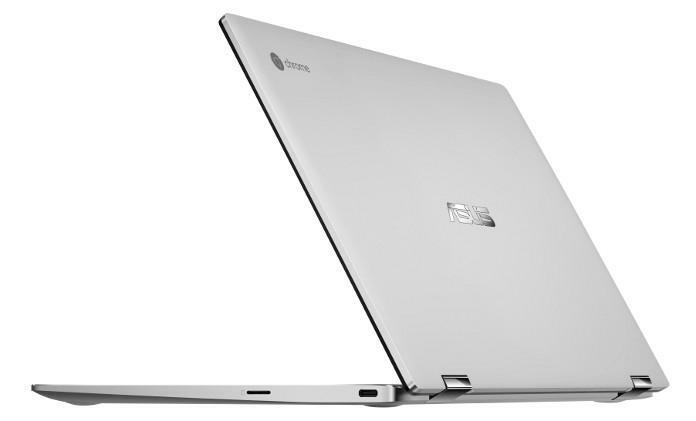 The Asus C434 will come with the Intel Core M3-8100Y, Intel Core i5-8200Y and the Intel Core i7-8500Y processor. 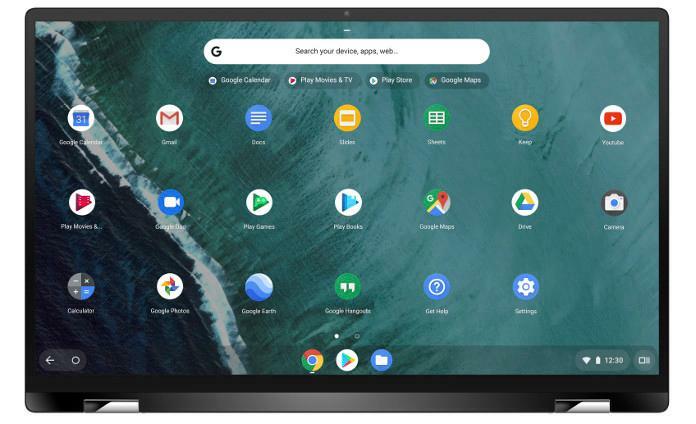 This means you’ll have the option to get your hands on a Chromebook laptop with the latest 8th generation i5 and i7 processors. If you’ve not used an 8th generation processor on a Chromebook yet, you will be amazed at the difference it makes. Booting up a Chromebook using an 8th generation Intel Processor is done almost instantly. It also handles any Android App you throw at it with great ease. 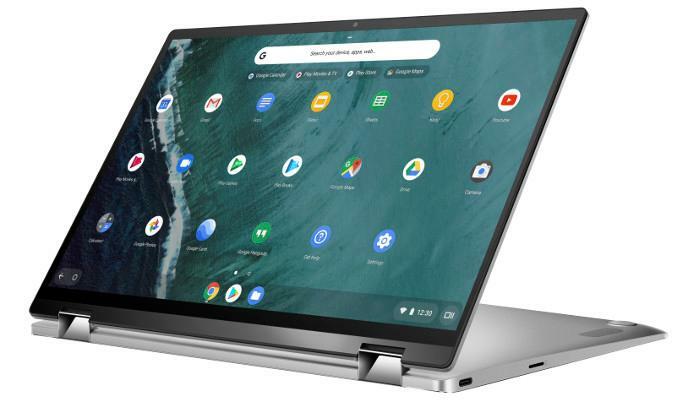 It makes a huge difference, so you may want to opt for an Intel 8th generation processor if you want the best experience the Chromebook can offer. The storage and RAM provided on the Asus C302 is perfectly fine for using what the Chromebook currently has to offer. However, when you consider Linux Apps is being developed the 4GB of RAM provided by the Asus C302 may have its limitations. It looks as if Asus is well aware of this as the Asus C434 comes with 8GB of RAM, which is more than enough to support Linx Apps. The extra RAM will also mean you will notice much better performance when using Android Apps and multi-tasking. 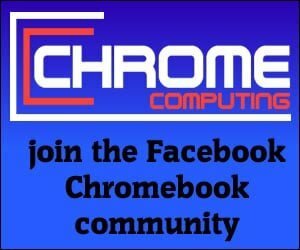 How much RAM your Chromebook has makes a huge difference to performance. The storage on the Asus C434 has also been given an upgrade with the 128GB storage that will come with the new model. This is double the storage space you currently get with the Asus C302. Storage has long been a sticking point with the Chromebook. Having lots of storage on a Chromebook has not been much of an issue in the past because the Chromebook has been designed to save your work in the cloud. The Chromebook definitely works with Google Drive seamlessly, so saving work in the cloud causes no problems at all. However, the launch of Android Apps and Linux Apps does mean you need more internal storage. The extra storage offered by the Asus C434 means you will be able to install more Android Apps and Linux Apps without having to worry about running out of storage space. Also, you don’t need to worry about running out of storage space. If you don’t think the 128GB of storage on offer will be enough for your needs. You’ll be happy to know the Micro SD card on the Asus C434 will support Micro SD cards of up to 2TB. One of the great things about the Asus C302 is the keyboard. It’s simply a joy to use. 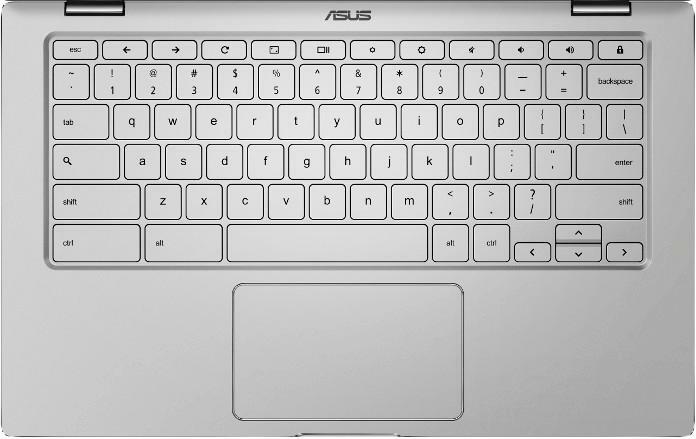 If anyone owns an Asus C302 you will know just how nice it is to type with. You can easily spend your day writing long essays or novels on the Asus C302, as the keyboard with its 1.4mm key travel makes such a difference. It’s great to see that Asus has used the same keyboard on the Asus C434. Like the C302, it will also come with a backlit keyboard, which means you can type whether it’s day or night. On this occasion, the Asus C434 comes with silver keys rather than black keys. How much of a difference this will make, if any, from a practical point of view, is yet to be seen. The Asus C302 comes with two USB Type-C ports. The Type-C port is definitely the way forward, as it provides much faster transfer speeds. It’s also great because you don’t need to worry about putting the USB connection in a certain way. So it’s good to see the Asus C434 comes with two Type-C ports. Although Type-C is the way forward. One criticism of the Asus C302 was that it did not have any USB Type-A ports. At the moment, most people still use a mouse or hard disk that requires Type-A. This meant you had to either replace these with peripherals with Type-C connectivity, which is an expensive thing to do or you had to get an adaptor. So it’s good to see Asus have realised people are not ready just yet to be Type-C ready and have gone back to providing both Type-A and Type-C ports. It looks as if Asus has done it again. Not only have they had one of the best Chromebooks on the market for the past couple of years with the Asus C302. The Asus C434 looks as if it will be a replacement that is worthy of an upgrade. Anyone who wants to take full advantage of what the Chromebook now has to offer with Android and Linux Apps. Will surely find it too irresistible not to get their hands on the Asus C434 when it’s launched.